I love American Apparel. Their clothes are so simple and they always fit so so nice. Although, I wish they had more organic clothing selection because right now they have mainly shirts and underwear. Is it possible to make organic cotton leggings? 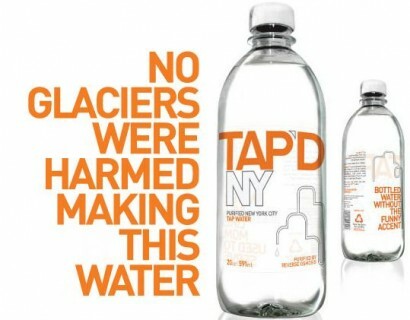 If so, I want to buy them. 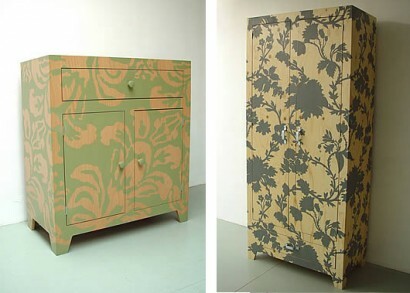 Do you have a lot of old seaters that are unfashionable, uncool, shrunken or simply too old? 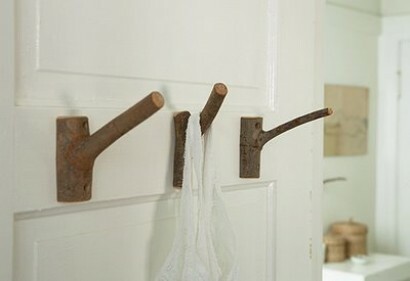 Well, you can reuse them to make mittens. 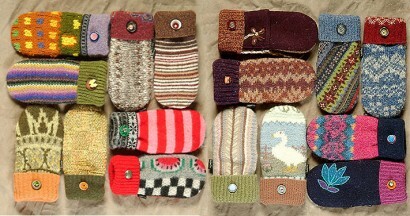 These mittens by Baabaazuzu are made from old sweaters. Each mitten is unique. 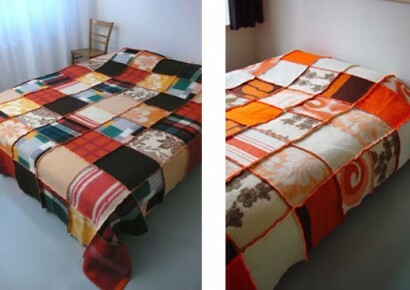 Two images below are quilts made out of old wool blankets by Marlies Spaan, a textile designer from Netherlands. Or, company called StitchT in New York City is making quilts out of old t-shirts for you. You bring old t-shirts and they stich them together into a nice beautiful quilt. This ia a drawing of a tree by Amy Talluto. 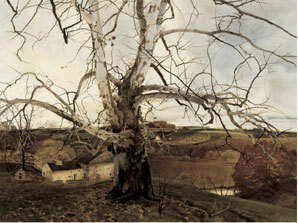 Amy draws and paints a lot of trees, forest and nature landscapes. This is Kim Holleman’s study for her Trailer Park installation sculpture. 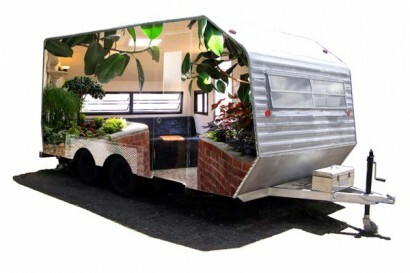 Kim Holleman constructed a park with little paved road, a bench, a fountain sculpture and some greenery inside of a one small mobile trailer. 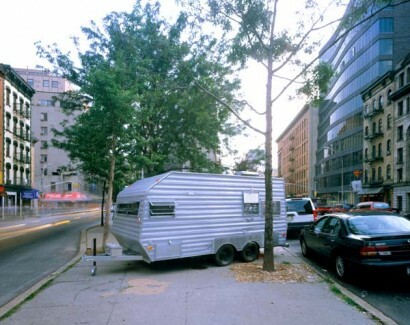 Theoretically this trailer can be parked and be a functioning park anywhere it goes for everybody to see and enjoy. 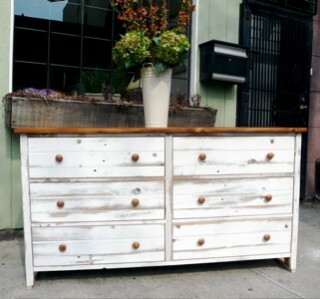 I saw this piece when it was parked in Williamsburg near Black and White Gallery. There is something exciting about jumping inside a trailer car and ending up in a relaxing atmosphere of a beautiful park. Of course, it does not always work this way. Boris and Kenny are my favorite artists with whom I went both to The Cooper Union for the Advancement of Science and Art and La Guardia high school of Music, Art and Performing Arts in New York City. Their installations are absolutely stunning! 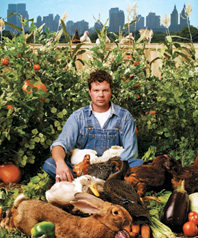 The image below portrays one of their installations called “Below the Highline” and is a dying pocket park as they called it. The installation took place in an old West Chelsea truck garage underneath the High Line Elevated train tracks. Boris and Kenny filled the space with torn grass and logs from cut down trees, dead trees, dead leaves, branches, dirt, bushes, paint and stereo system with bird sounds. They made similar installation in the Summit High School, NJ and they called it ” A Tree Falls in Summit”. They created a forest classroom for students of the school to enjoy. Below are some picture details of this installation. 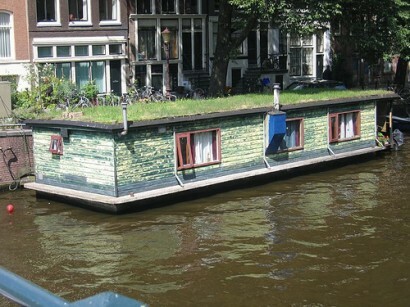 Speaking of houses with grass roofs…this peculiar boat-house is not only floating on the water but also has a green lawn backyard on the roof. 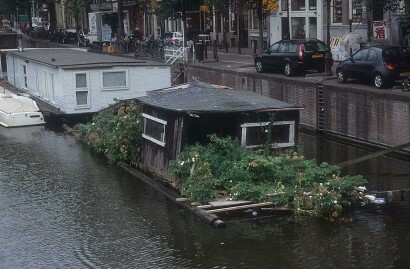 It is located in Amsterdam and is a living example of the hippie times that swept through Holland in 60’s-80’s as one Dutch friend of mine pointed out. 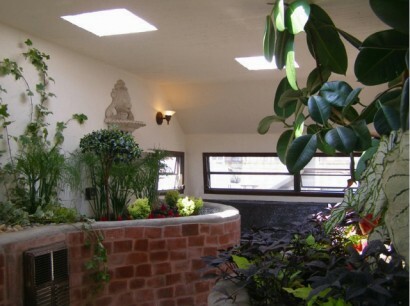 Not only you are not wasting any fertile soil for the ground of your house, but also multiplying the amount of oxygen released by greens by growing them on the roof. Some will argue with me that this is not too hippie. Then, how about the house below? I believe the owner is growing some very important kinds of weeds…. 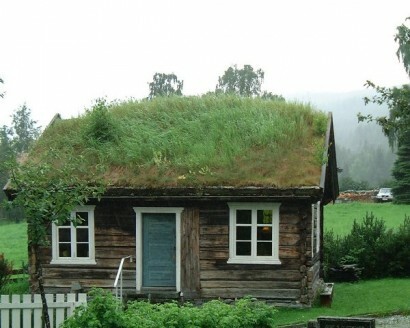 *above: This house with grass roof is starting to grow a small birch tree. 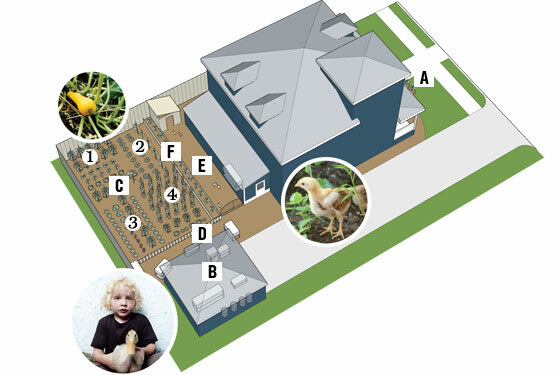 Is there is anything more green than these houses with grass roofs? Unless they are houses with forest roofs! ha-ha. 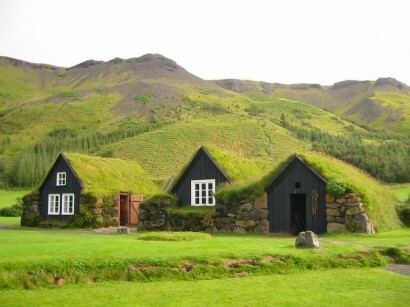 They are called Icelandic Turf Houses. These photos are taken on North Islands of Scotland and Iceland. 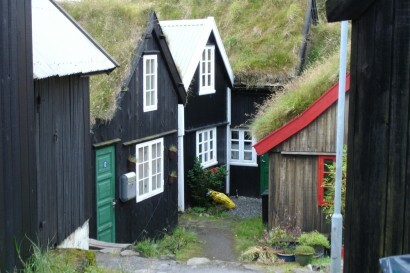 Apparently, these turf houses offer superior insulation compared to buildings made solely out of wood or stone. One of the reasons these houses started their existence is that there was not a lot of good timber in Iceland and it was difficult to obtain other construction materials. 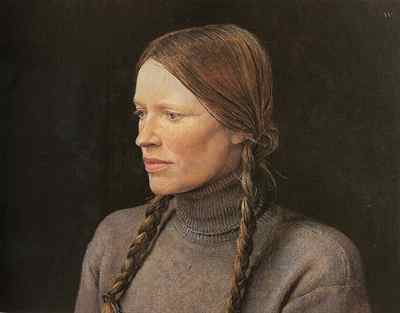 However, Iceland did have a large amount of turf..
Andrew Wyeth’s watercolors are so detailed and realistic. 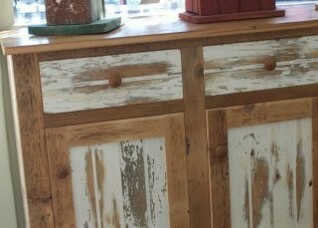 My favorite part about his paintings are the tiniest grasses and hairs that are visible. 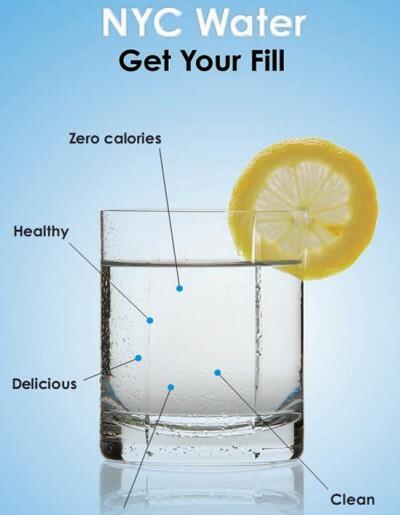 Not a lot of people can master this technique. I love Ptarmigans. 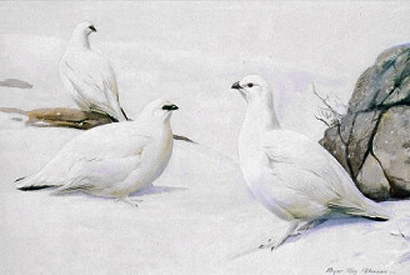 Ptarmigans are sedentary species, breeding across arctic and subarctic Eurasia and North America. The Ptarmigan is seasonally camouflaged; its feathers moult from white in winter to brown in spring or summer. Ptarmigan’s feet are fully feathered to maintain body heat and to act as snowshoes during winter. NYC have lately been building more bike lanes that are bigger and brighter in color. This adds a completely new aesthetic to the city, which is becoming more sustainable. 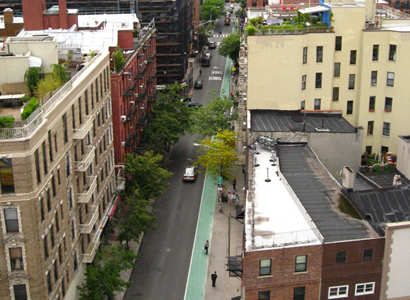 Recent studies show that more people are riding bicycles in NYC now than in the past 23 years. Biking popularity is steadily increasing every year. It is estimated that nearly 4,000 cyclists commute from the outer boroughs into Manhattan making up part of the 100,000 bikes that are on the street everyday. 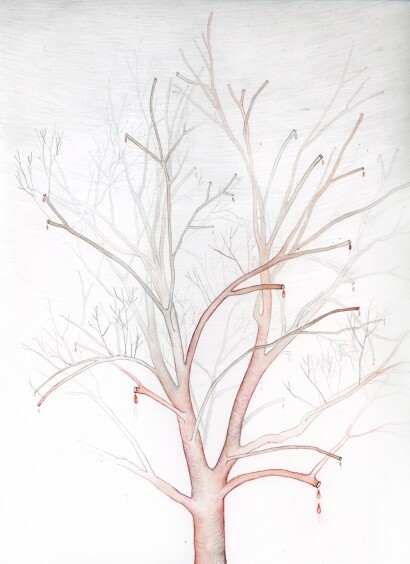 Drawing of a naked tree in the winter. Watercolor, pencil and graphite on paper. 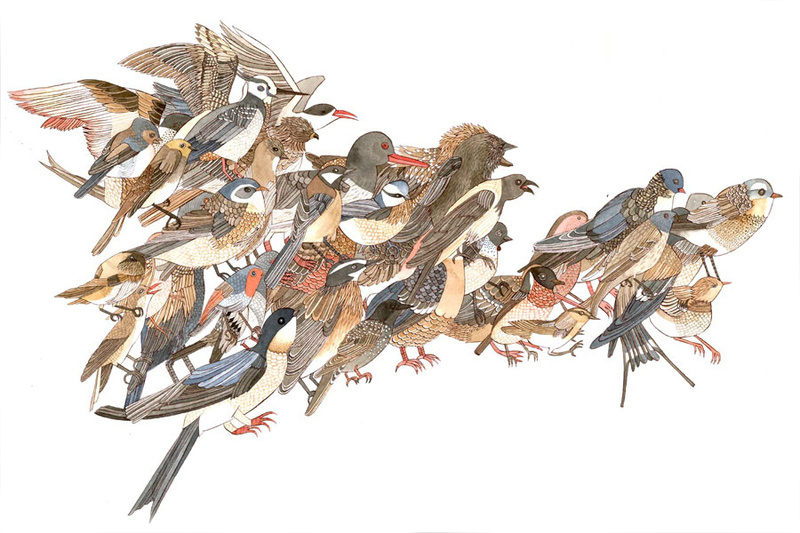 One of my my favorite drawings by Carson Ellis, artist from Portland, Oregon. I like finding pine cones in the forest. It is fun to observe them, study them, bring them home - put the on shelves and tables or use them as Christmas tree decorations. 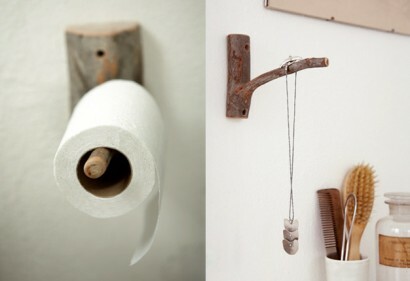 These ceramic pine cones by Coe&Waito are a real masterpiece. 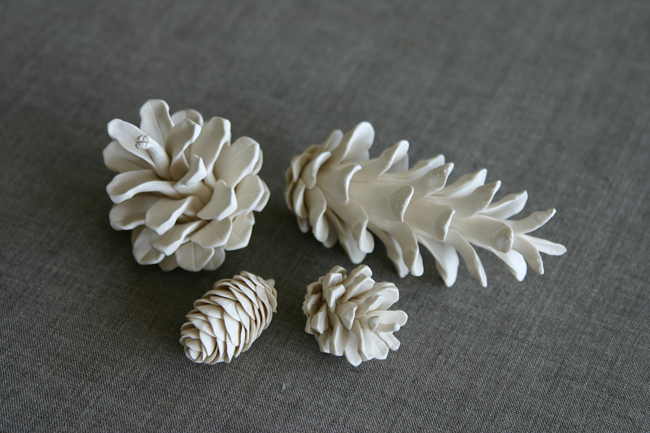 “Each porcelain pine cone is meticulously hand sculpted capturing the intricate beauty of natural specimens” Ceramics pine cones available are black pine cone, white sprice cone, red pine cone and white pine cone.